As our government launches unecessary and dangerous attacks in Syria, it's devastating to know who paid for it: we did. 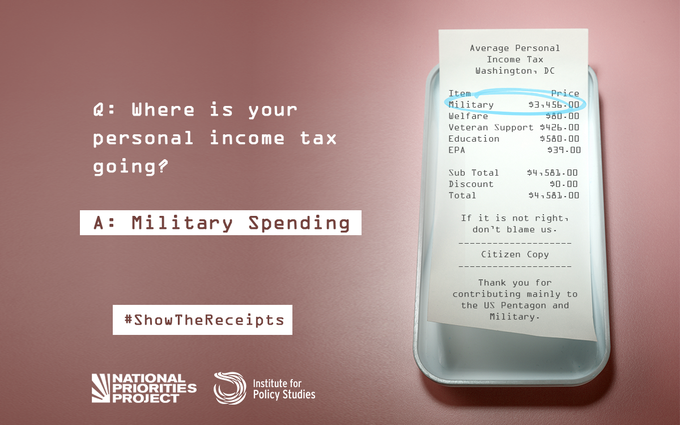 The average taxpayer contributed $3,456 to the military in 2017, compared to just $426 to care for veterans of all of our past and current wars, $80 to welfare, and just $39 to the Environmental Protection Agency. See what else your tax dollars paid for at our Tax Receipt, or read our "Seven Surprising Tax Facts for 2018."